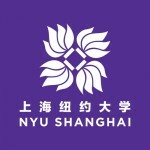 NYU Shanghai, is a pathbreaking research university jointly established by New York University and East China Normal University (ECNU) in Shanghai. Students can choose to study abroad for one semester to a year, as well as seek an undergraduate or graduate degree. It is the first American university with independent legal status to be approved by China’s government. NYU Shanghai offers all the benefits of New York University in Asia’s most exciting business and cultural center. The NYU Shanghai academic experience is characterized by rigor, a global perspective, and a strong foundation in the liberal arts and sciences. Like New York, Shanghai is one of the great idea capitals, a magnet for talented people from all corners of the globe. Combined with the opportunities that NYU’s unparalleled global network provides, NYU Shanghai students have access to the best resources from all over the world. By joining the inaugural NYU Shanghai class of 2017, you will become a member of a diverse, pioneering group of students like no other. You will be part of the first class of students in China to experience an 8:1 student/teacher ratio, with professors from around the world engaging you and your classmates in stimulating and formative discussions. NYU Shanghai is unique in many ways, not the least of which is that it links together two dynamic cities that share the hallmark of constant change. You can expect to emerge transformed as well—equipped to navigate the fast-paced global economy as a citizen of the world. In the semester to year long abroad program, students have a choice of studying Chinese language courses alongside content courses that are taught in English. Students can also apply for internships while studying in Shanghai to gain invaluable hands-on work experience. Discover Shanghai through a diverse set of organizations in the arts, migrant services, environmentalism, media, business and law. The for credit internship program offers a ten-hour a week experience with a required weekly seminar for a total of 4 credits (application required). The non-credit internship program is open to all students, not for credit, and generally involves less hours per week than the academic internship program. No advanced application is required for this program. Students will work to secure internshp placements at the internship fair during orientation on site. Students in both programs learn more about Chinese society, culture, and professional life through placements with agencies addressing important social, cultural and urban issues. You must be flexible, open minded, adaptable, a self-starter and ready for the challenge of new situations and cross-cultural engagement.